Relive the classic, cult 80's film with our Breakfast Club cross stitch pattern. Featuring Emilio Estevez, Anthony Michael Hall, Molly Ringwald, Ally Sheedy and Judd Nelson, this pattern is sure to make you want to spend a Saturday in detention! 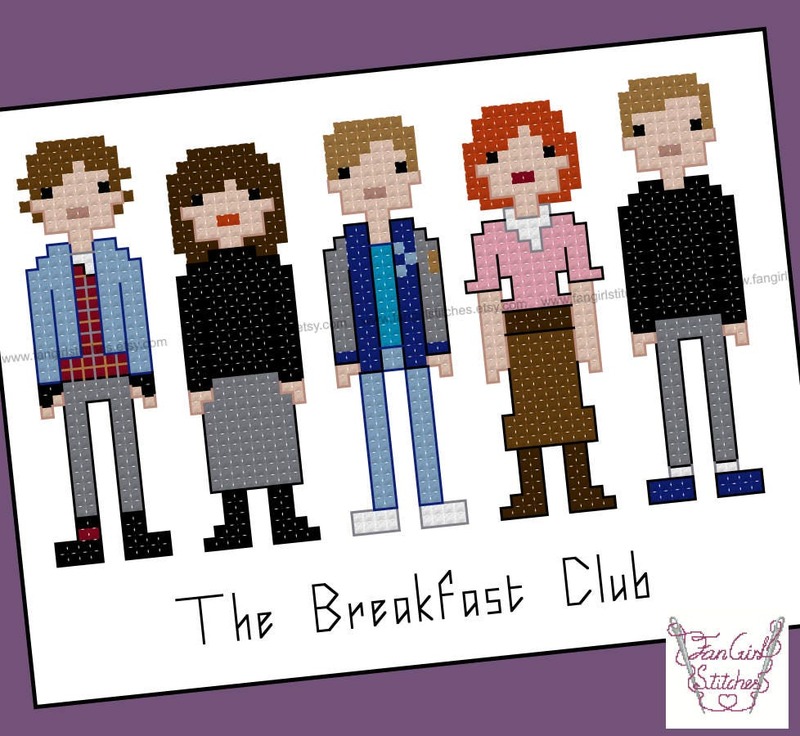 This design includes whole stitch and back stitch, and is suitable for beginner stitchers. This is a parody (inspirational) work. 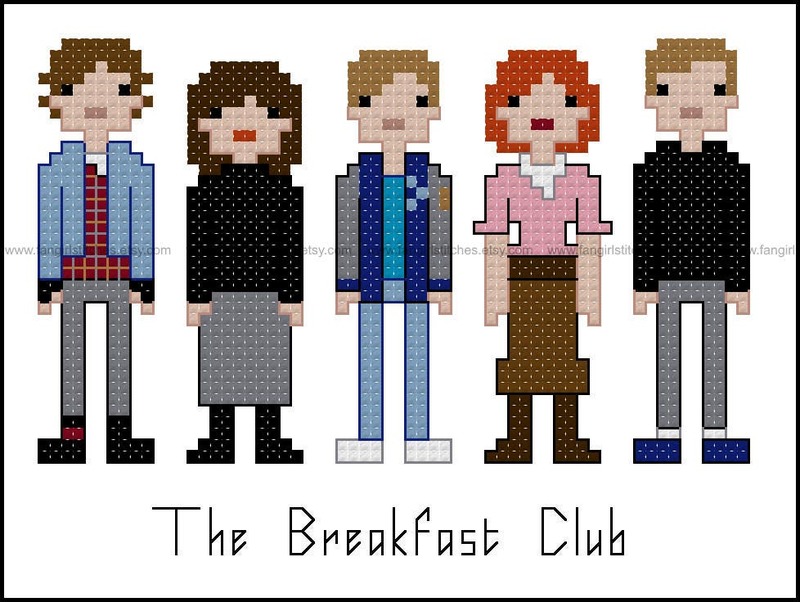 The Breakfast Club and its characters are copyrights and/or registered trademarks of Universal Pictures. This production is not sponsored, endorsed by or affiliated with Universal Pictures or any of its subsidiaries or affiliated companies and/or third party licensors.